Cebu is one of the best places not only to settle down to but also to invest on real estate properties. Certainly, there are thousands of valid and realistic basis and reasons why one should and and start thinking of investing on real estate establishments. Cebu does not only promise a better tomorrow but has already demonstrated its capability through its economic booming record. Cebu ranks as the second biggest and fastest growing economic region in the Philippines. Cebu is very accessible from different regions in the country as well as from various countries in the world, that is, through its Cebu-Mactan International Airport, seaports, and land linkages. Cebu has been developing its infrastructures and provides the necessities to compete and sustain investments, as well as support facilities and amenities for your ideal lifestyle. Cebu is the gateway towards Central and Southern Philippines and is accessible via air travel, sea travel (Cebu Shipping Lines), and land travel (North Bus Terminal & South Bus Terminal). Cebu is enjoying an export growth in many years now, an average of 20%, which is considerably high compared with other regions in the country. Cebu is much safer compared to most places in the nation. It is not located in an earthquake zone; not within the typhoon belt although it comes occassionally; and there's no danger of volcanic eruption since there's no active volcano in the province compared to other provinces. Cebu has the best record of peace and order among other regions in the country. Cebu has the best and thriving export processing zones in the country exporting high-end quality furniture, fashion accessories, carrageenan and gifts, electronics, hardwares, toys, housewares, among others. Yes, I hope such reasons will help you consider seriously on doing business or even settling down in that great province. A non-Filipino citizen cannot own a piece of land in the Philippines according to law. He/she can have a legal 50 year lease on land which can be extended to twenty-five years more. In addition, an expatriate or non-Filipino can take title of a Philippine or Cebu condominium of 60% of it if Filipino-owned. Unfurnished building/house means that you have to bring your own appliances, furniture and other facilities not included in the property. Boarding houses and dorms could be your other choices, which are fairly available in most areas close to universities or city proper areas. An apartment or house in a subdivision area, although could cost higher compared to buildings outside a subdivision, is a much preferred choice by most people who have higher and regular incomes. Domiciles inside subdivisions are much safer in terms of protection from burglars, fire, floods, noises, and other safety and comfort needs. Such places have walls and security guards (24 hours) that keeps away non-residents. If you were a business person you know that condominiums could be your great opportunity for investments. Just do your homework and find a good lawyer. Make sure you have a legal title, especially if you are not married to a Filipino citizen. 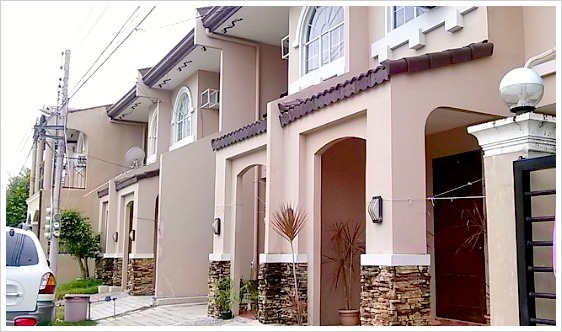 Most people strongly suggest that if you want to buy Cebu homes or any real estate focus on subdivision properties. If you decide to do like that, make sure that you deal with real estate developers that are well-known and popular due to their quality projects and services. You can find such Cebu developers in this website (Real Estate Dev). A foreign citizen married to a Filipino citizen can make a purchase by including your name on the contract. For a non-Filipino citizen and not married to a Filipino citizen must get a title of the property and then lease it from the corporation that established the subdivision. This page only offers you some ideas and basic facts. But it does not offer you any legal advice or promise hard facts. So, please consult your lawyers, the proper authorities, agencies, and real estate experts for legal advice. We wish you all the best in your Cebu real estate business. Be prosperous and more returns! Thank you for visiting this page and reading through it. Have a great day!